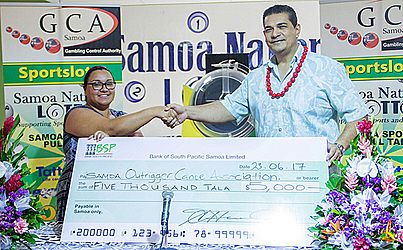 The Gambling Control Authority has continued its spirit of giving by presenting a $5,000 cheque to the Samoa Outrigger Canoe Association (S.O.C.A). The money was presented by the Chief Executive Officer, Tuala Siaki Tuala to the Treasurer of S.O.C.A, Rosemarie Netzler. The donation couldn’t have come at a better time with Team Samoa attending the International Va’a Federation (I.V.F.) 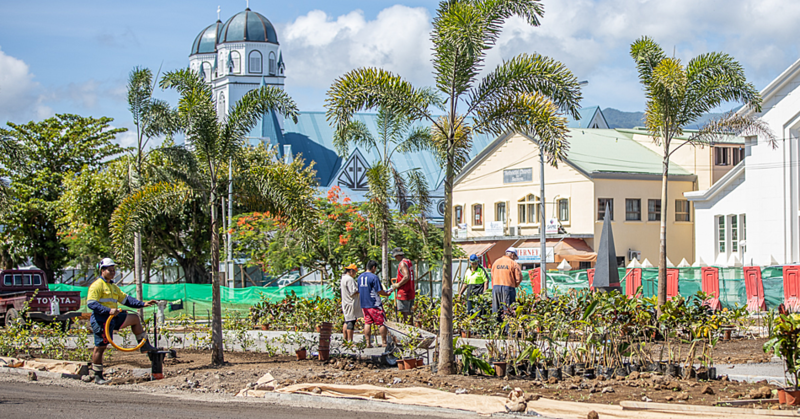 Long Distance Championships in Tahiti. 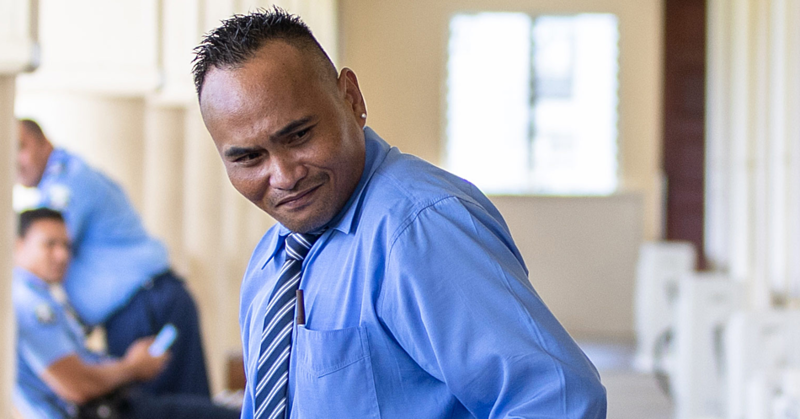 A team of 12 is representing Samoa at V6 and V1 events in Tahiti. Ms. Netzler accepted the cheque with gratitude on behalf of S.O.C.A.